Watch Modern Family Season 9 Episode 12 online via TV Fanatic with over 7 options to watch the Modern Family S9E12 full episode. Affiliates with free and paid streaming include Amazon, iTunes, Vudu, YouTube Purchase, Google Play, Hulu Plus, and Verizon On Demand. 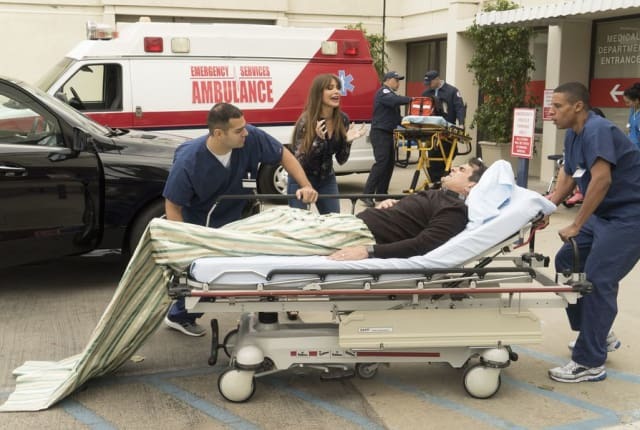 On Modern Family Season 9 Episode 12, Gloria rallies the entire family after she must rush Phil to the hospital for emergency surgery when he has stomach pain.